So let’s start our English Russia daily report #7. We collect all fun stuff we meet during the day and dump it here with the as much commentary we know about the topic. 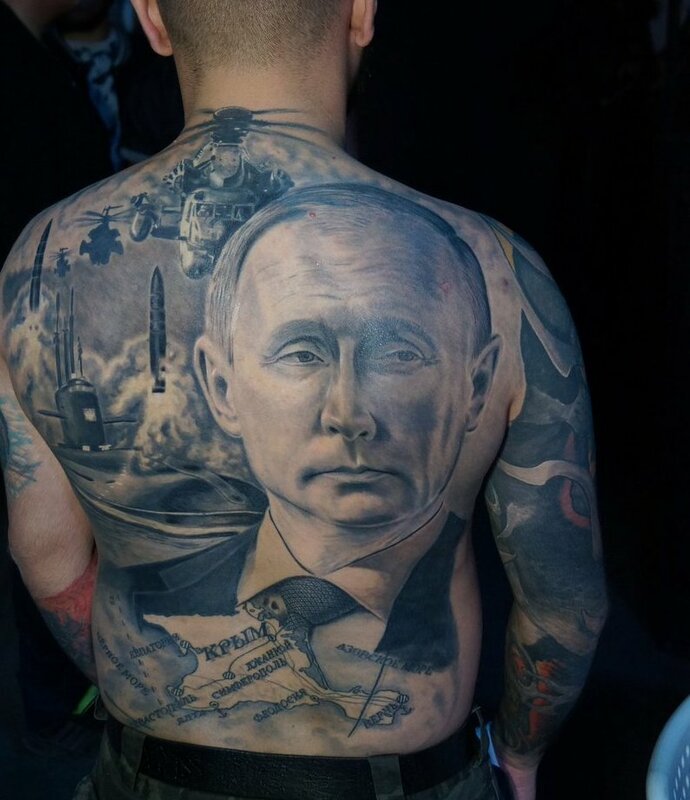 And starting today with the girl with a dragon tattoo, with a guy with a Vladimir tattoo. Leaving aside the idea itself, there are some American attack copters behind the president, depicted, probably he didn’t researched enough the country of manufacture of those. Or is he giving us some signals? Moving on..
An example of KGB Xiaomi model. 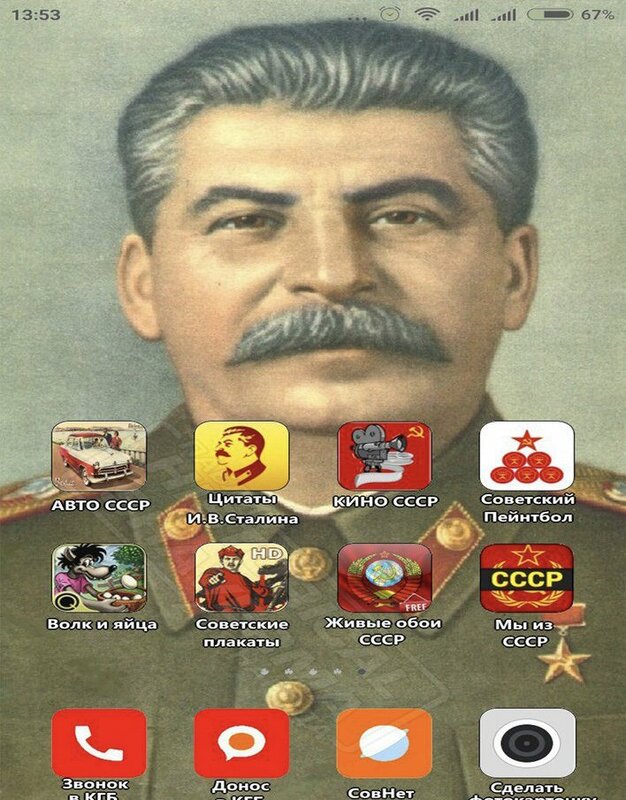 If you are interested about the apps installed here are some names: “Soviet Cars”, “Stalin Quotes”, “Soviet movies”, “Soviet paintball”, “Soviet propaganda posters (in HD)”, “Live Wallpapers of USSR”, “Report your neighbor to KGB” etc. 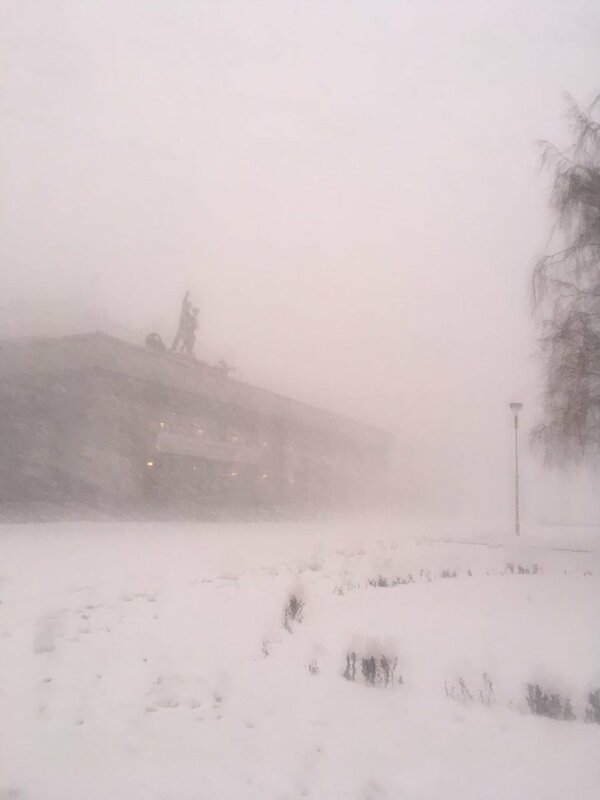 Filmed in Yakutsk city, today or something like that. He did it so fast that the dude actually jumped out of his socks check it out. Amazing isn’t it. And now on some more serious note. You won’t believe but we already having mall fires. And believe it a not TWO different malls caught fires today in Russia. 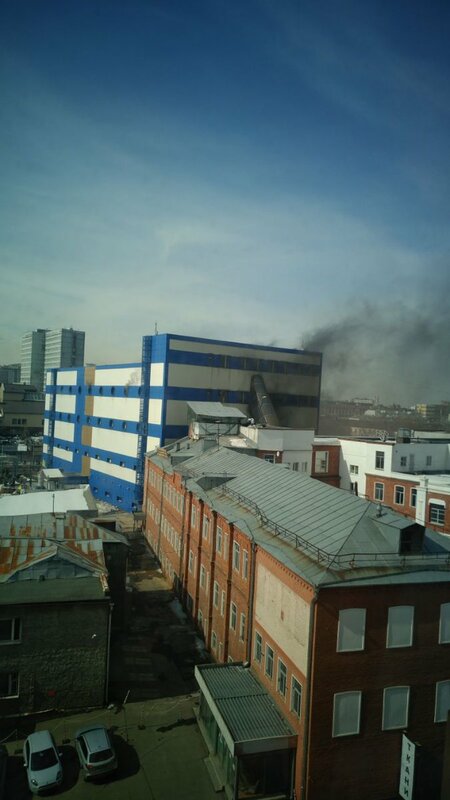 First a mall in Moscow caught fire, firefighters arrived very fast. However there have been victims here. Five firefighters got injured and one mall worker died in an ambulance en route to hospital. A central market of the city in the downtown burn in flames late in the evening. 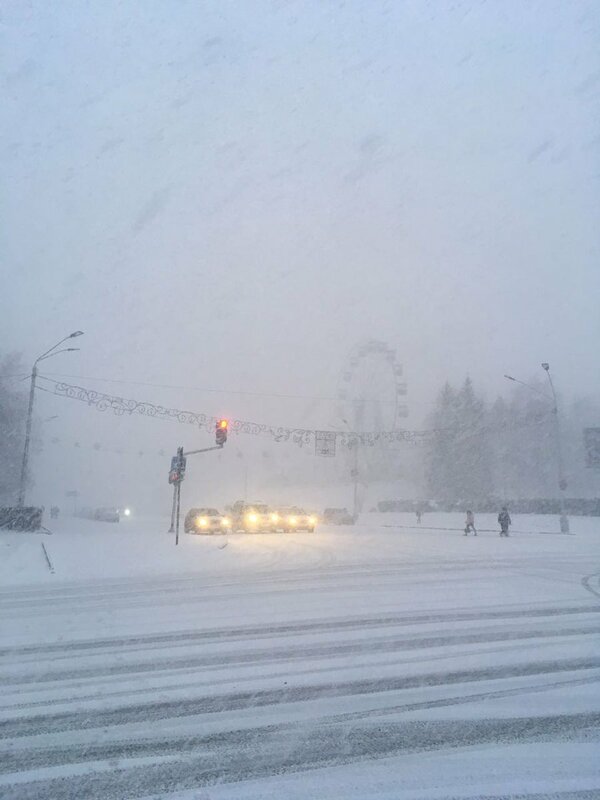 Some malls in Russia work 24×7 so it might had still people inside. 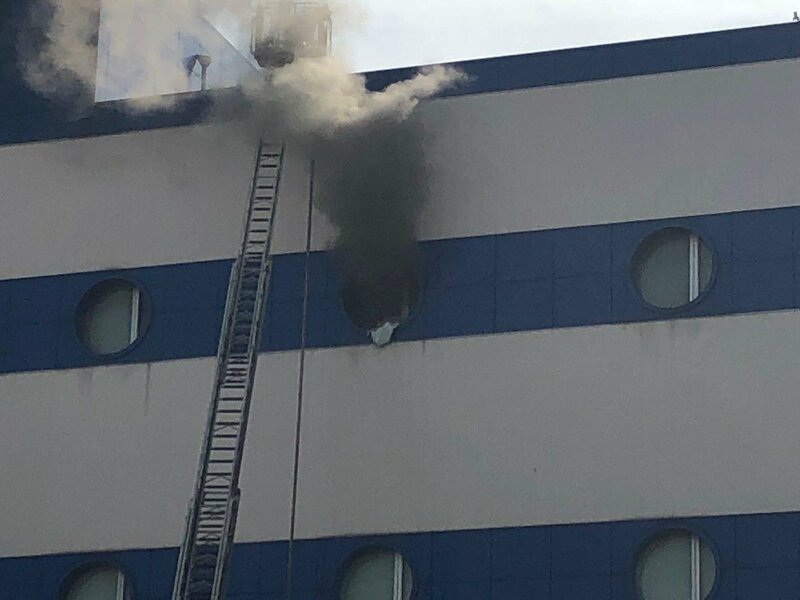 No news yet on this one but watch the video above – it’s burning pretty hard. 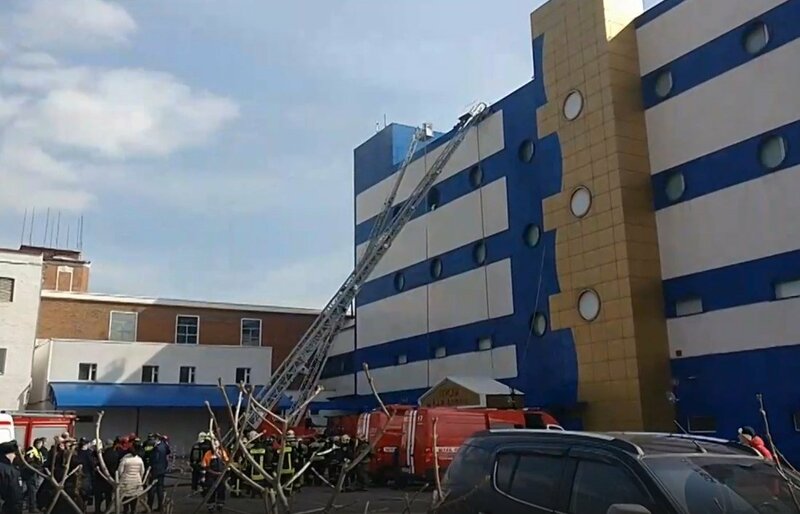 People are whispering this can’t be a pure coincidence as a few malls caught fire in past couple weeks since the deadly mall fire in Kemerovo which killed tens of people. Nothing funny just an Orthodox priest on a scooter. People are sort of got used that priests are driving often some luxury cars, as the church is being supported by the state (in part), so it’s kind of an unusual sight. Now, another thing. Do you know who was Sasha Grey? (If not please don’t google, she was an adult movies star). 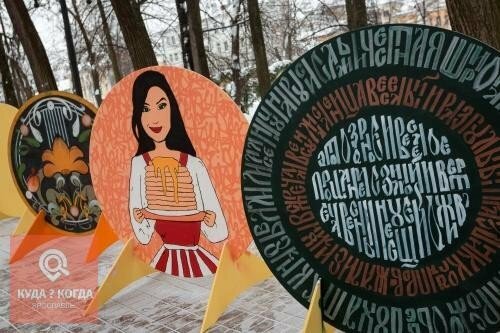 Here is a Maslenitsa party (bliny-crepes party) in one of Russian cities. And one crepe is looking strangely familiar (in fact it’s her face). Ok moving on to some more pop-culture memes. Did you know a new video game Farcry 5 got released? It’s sort of set in a setting of American midwest, like Montana or something and members of religious sect got whole state under their control and you sort of need to fight your way thru the religious frenzy there. 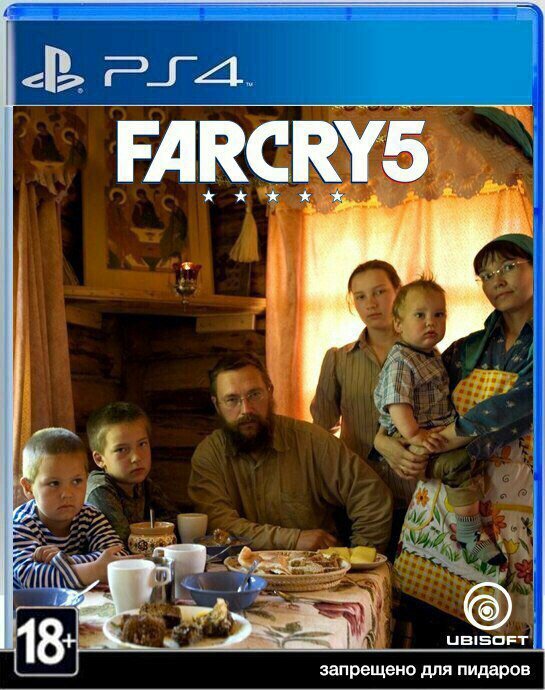 Russian people made their fantasy of the possible Farcry 5 localization and placed a family of famous Russian religious fundamentalist German on the cover. Look at his son he probably is hoping a sooner demise for all this stuff happening and tired of all this. Also this German is famous for another crazy thing he did. He owned (or still owns) a network of artisan bakeries (very overpriced breads made strictly by “ancient Russian recipes”). 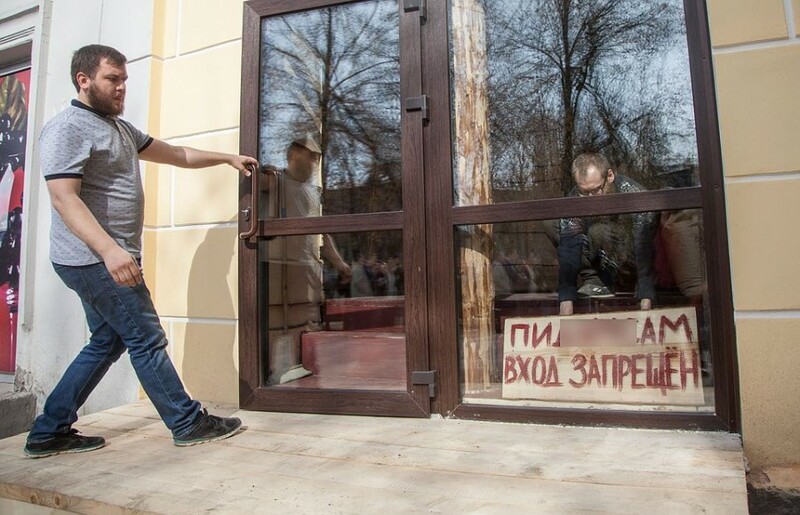 And he was famous for placing “No fags allowed” on his shops (here on photo above he is placing a sign himself). And this Farcry 5 cover also got this sign in small font written. 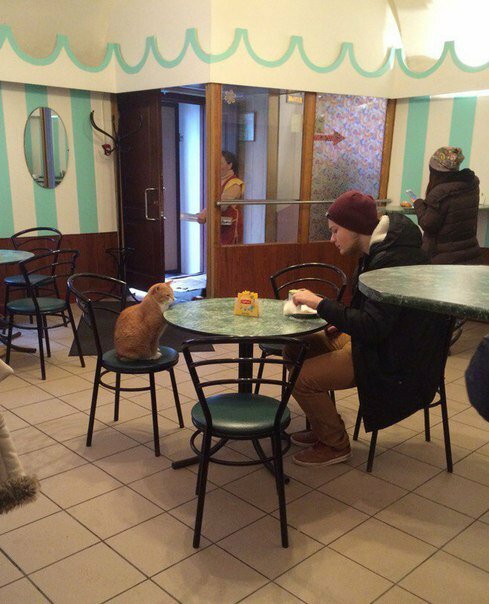 “Now this cat is having his job interview, hopefully he was accepted”. In fact the cat lives there in this cafe and sort of a local celebrity. Or he looks confident, maybe its he who is interviewing the human? 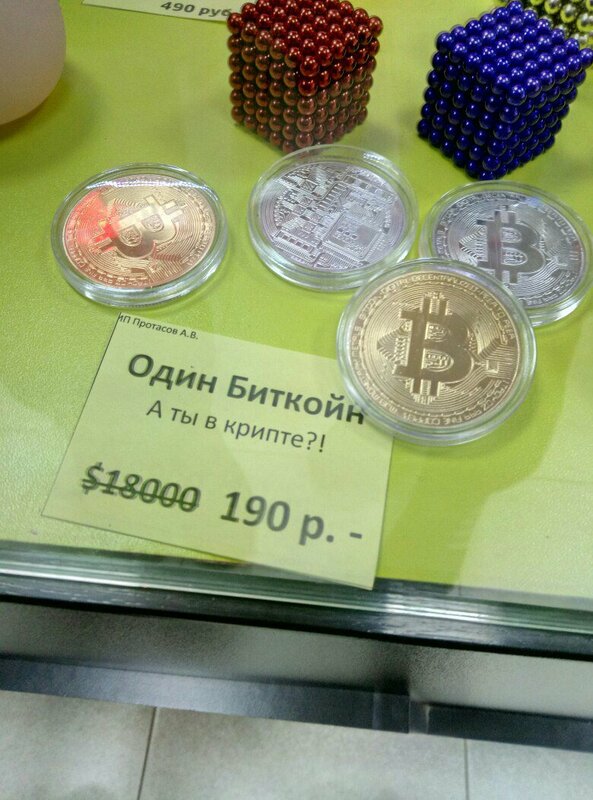 Someone is selling Bitcoin for 190rubles – $3. Now this is a discount. Are they the ones to blame who crashed the Bitcoin price so much lately. Joking of course, it’s just a souvenir from Aliexpress where it costs even cheaper like $1 or something, you can see it here. Do you know Russian curse words? 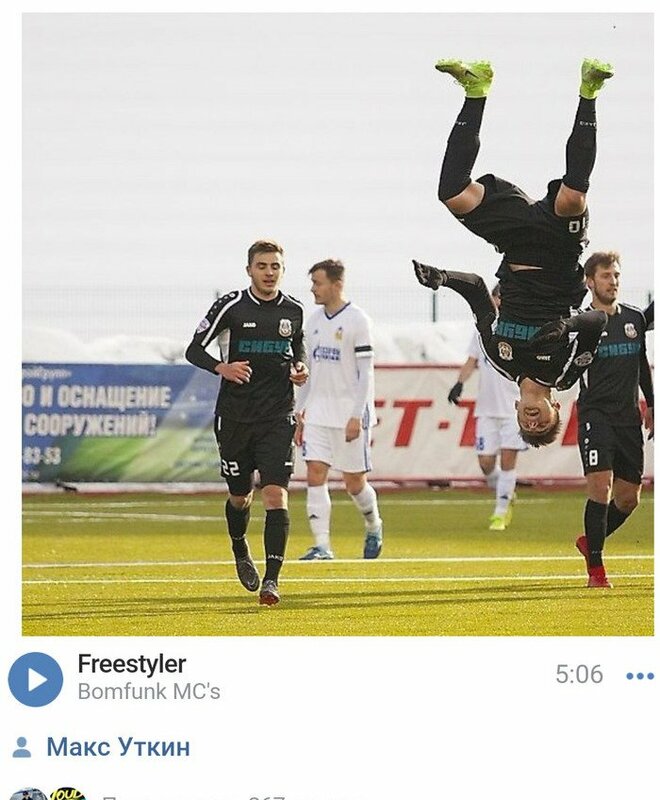 Like, with the magic of computer games many modern gamers know at least two: “cyka” and “blyat”. Basically those are really curse words and you shouldn’t really use them when a Russian person is around. Also they have a magical power. Don’t believe me? Take a look at the video above. The dude is using both words at once. See the effect. 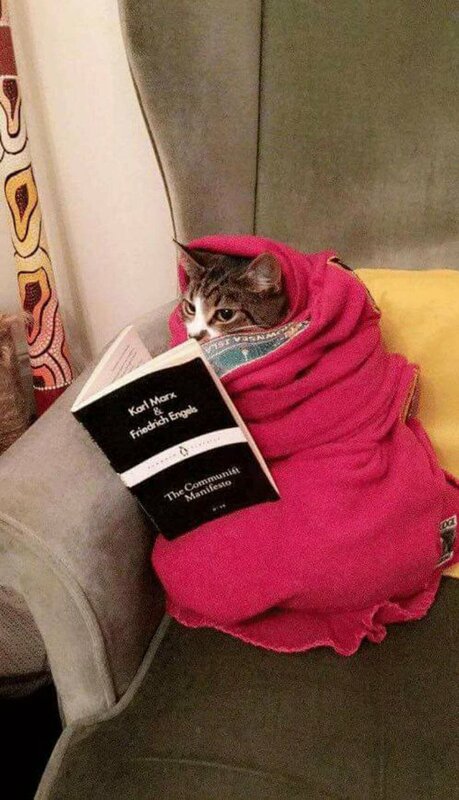 “Please wait for PERESTROIKA to finish. 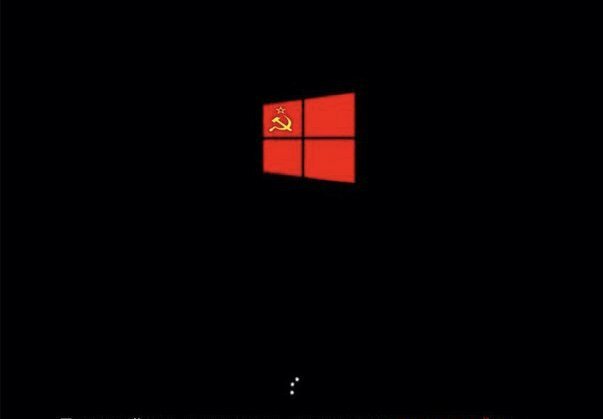 After PERESTROIKA your computer will collapse”. Still better than Windows Ten probably though. Is this in England or something? 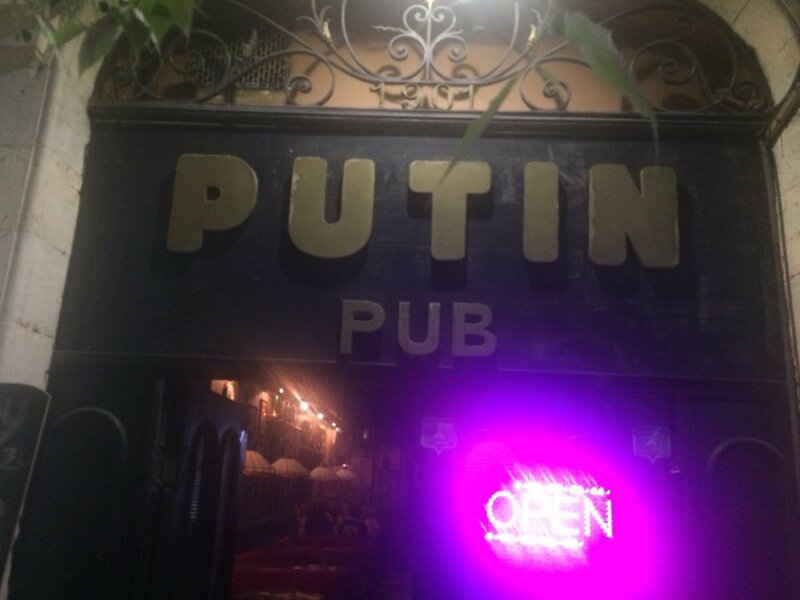 (Well actually no, this is in Jerusalem – which makes it even more stranger – though some say it’s in a Russian neighborhood of Jerusalem). And guess what? They photoshopped that girlfriend from the meme here too. Here she is looking at Leo. 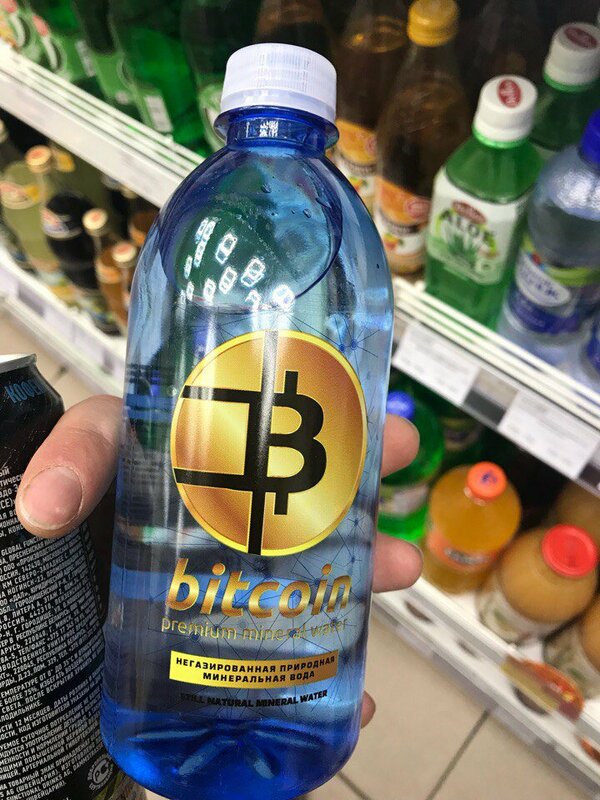 Russia started selling Bitcoin branded water. Probably everything with “Bitcoin” on it selling really hot. Did you like those? If you want to read the yesterdays edition of the report you can find it here. Thanks for everyone watching/reading, thanks for the Twitter commenters – your comments are priceless sometimes and make good jokes. (Yes if you didn’t know we publish some of this stuff first at our Twitter page – it’s here). If you want to share this report – it’s much appreciated. See you back soon! 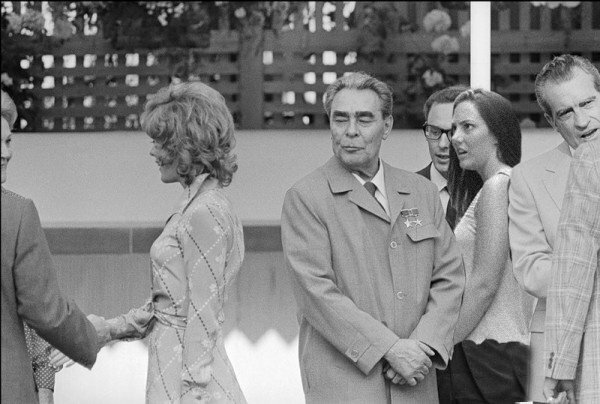 The first time I heard the word (PERESTROIKA) we were told here in the west that Gorbachev was behind it and it meant a new corporation with the west. Now I read about it and they say it had nothing to do with the west. And then there was the red reset button, all I ever heard about that was they got the name wrong. Chillary flew to meet some Russian big cheese for photo opp to press some red button. 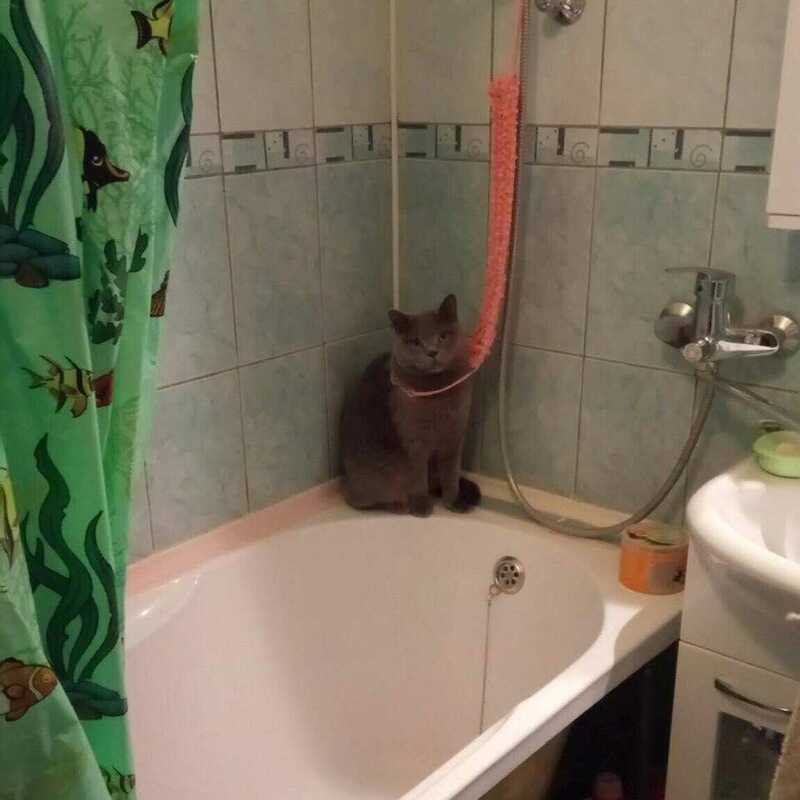 ( I guess it was blue-tooth cause it had no wires). Farcry5 foto….there are many tens of thousands of religious fundamentalists in the US….the Amish for example. 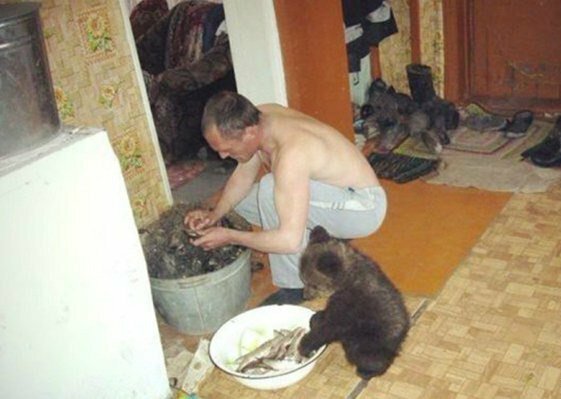 Mostly they mind their own business but many of their children have been exposed to the outside world and are desperate to leave. I use Russian swear words with my Russian friends….they just laugh.